Swim. Bike. Run. Fear not. For Rev Three brings the lobster. Have a triathlon related Haiku? If so, why not leave it in the comments! Hills. I have a love-hate relationship with hills. Hills are pretty to look at. They are fun to hike on. I enjoy riding my bike down them. I do have, on the other hand, issues with riding my bike up them. See, I live in a part of our country that is essentially as flat as your bathtub. The only hills in Northeast Florida are the man-made varieties that traverse interstate highways, rivers and such. To be painfully obvious, the only hills that I see with any amount of regularity are bridges. 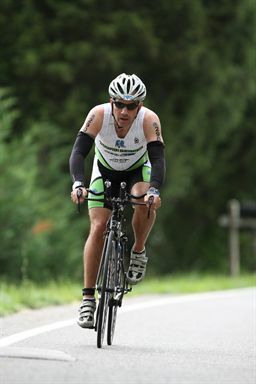 Throughout the tenure of my hobby in triathlon, hills have been a constant thorn in my side. I’ve had some of my worst race performances on hilly tracts. I’ve suffered the most on hilly courses. The really sad reality? The races that I call hilly don’t even register a blip on the register of hilly courses like Rev3’s Quassy. Well, I’ve saddled up to take on a hilly race again. And frankly, I’m SUPER excited about it! My “A-race” for the year is the Half Rev at Rev3 South Carolina, which will be held on October 12th in beautiful Anderson, SC. Anderson sits in what South Carolinians call the “Upstate” – a portion of the state that is probably technically considered the Piedmont – or maybe the fringe of the foothills of the Great Smoky Mountains. From my flat-landed perspective, however, I’d call Anderson the edge of the Himalayas. The terrain is rolling, the landscape is beautiful, and in October, the temperatures will be divine. I’m tremendously excited about returning to Anderson this year. This race venue is where in 2012 I earned my personal best finish in a 70.3 distance event, and I’m eager to go out and improve upon that time. I love the idea of pushing myself to my limit and beyond both training for and then racing upon the hills. I’m super excited to visit an area of the country that I love. But first, I must prepare. I’ll ride countless numbers of bridge repeats this summer to try to approximate what it will be like to climb. I’ll push harder gears on flats than I might otherwise so I can get a sense of the lingering burn I know I’ll encounter. I’ll do the almost unthinkable and put my bike on a trainer and jack my front wheel up on a bunch of books some this summer so that I can feel what it’s like to have gravity pull on my backside some. I will be ready for the hills. I’ll turn my love-hate relationship into a love-love relationship this summer. I vow to enjoy climbing as much as I enjoy descending. 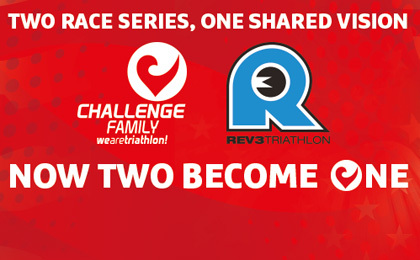 The Half Rev at Rev3 South Carolina is calling me. The hills are whispering my name, urging me to come and ride. I’ll be there. Will you? Come join me and let’s go slay some hills.